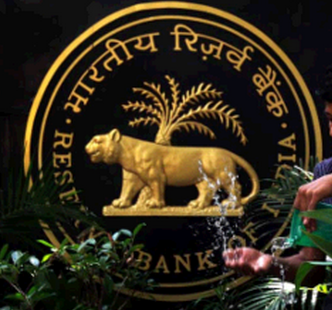 The Reserve Bank of India is forecast to cut its main lending rate just once more over the next 18 months, despite weak inflation and a slowing economy, according to a Reuters poll. Weakening inflation and concern that a China-led global slowdown was weighing on Asia's third-largest economy pushed India's central bank to cut the repo rate to a 4 1/2-year low of 6.75 percent last month, taking many by surprise. But the RBI is unlikely to move again any time soon, according to the poll of over 25 economists taken in the past week, and the next cut of 25 basis points won't come until the April-June 2016 quarter. September's cut reflected the RBI's "comfort with the path of inflation in the next 12-15 months, while recognizing the need to support the economy in an increasingly challenging global backdrop," wrote economists at Deutsche Bank. In his statement after the policy meeting, Governor Raghuram Rajan said the Bank chose to front-load policy easing due to widespread concerns about growth worldwide and in India. However, economists predict growth this fiscal year and next will be slower than estimated three months ago, just 7.5 percent and 7.8 percent respectively, although faster than China's, where growth will be 6.5 percent in 2016. A July poll predicted a 7.6 percent expansion this year and 8.2 percent next, but those forecasts came before official data showed economic growth slowed to 7 percent in the quarter ending in June. New Delhi is targeting 8 percent over the next two years. "For India to meet its true potential, reforms will need to be bolder. Until then, GDP growth is likely to recover more gradually," Pranjul Bhandari, chief India economist at HSBC, wrote in a note. Despite the slowdown, India's economy remains a favourable destination for global investors, although reforms in taxation, land acquisition and labour markets are pending in parliament and political opposition has so far stalled them from coming into force. Oil prices have slumped over 50 percent since June 2014 and inflation has cooled sharply in India, falling to 4.41 percent in September from double-digit rates just two years ago. Inflation is likely to accelerate, the poll showed, limiting the RBI's scope to ease policy as aggressively as it did in 2015, when it cut the repo rate four times. Economists expect inflation to average 4.9 percent to 5.5 percent in each quarter until the end of next year, much lower than the RBI's January 2016 target of 6 percent. It is also likely to meet Rajan's 5 percent by March 2017 goal.